Amazing Handcrafted Tacos by a Dozen Local Chefs/Restaurants! Awesome Margaritas, Tequila & Other Cocktails, Mexican Beer, Wine...something for EVERYONE! Live Mariachi Music & More! What time does the Taco + Tequila Throwdown start & where do I park? The Taco + Tequila Throwdown is Saturday, August 18th. There is plenty of FREE Parking at The Regency. 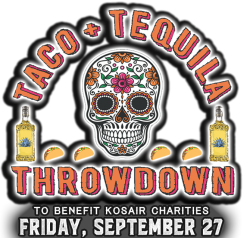 Taco + Tequila Throwdown Tickets INCLUDE EVERYTHING! Enjoy ALL of the Tacos created by our Chefs, plus ALL of our Margaritas, Tequila Cocktails, Beer & Wine. Save Money by purchasing ADVANCE TICKETS before they're gone here. The Taco + Tequila Throwdown is all INDOOR in AIR CONDITIONED COMFORT! Nothing can stop us from delivering the Tacos and Tequila to our attendees! What is the dress code for the Taco + Tequila Throwdown? Wear what you're comfortable in...there's no time to worry about what you're wearing when there's tacos to eat! 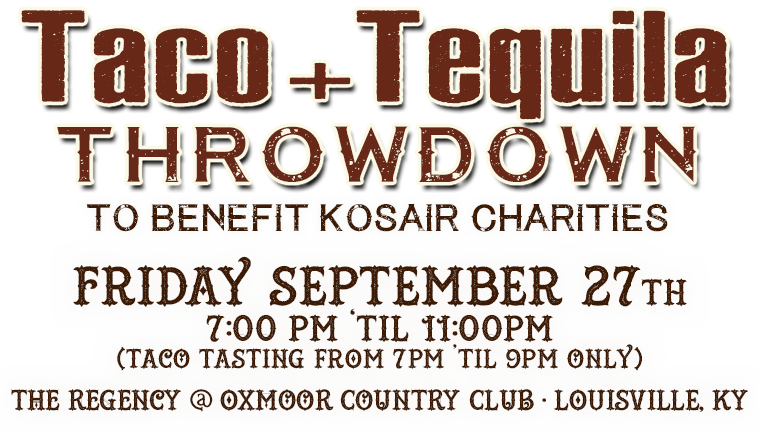 Tickets for the Taco + Tequila Throwdown are EXTREMELY LIMITED. We STRONGLY suggest you purchase your tickets in advance HERE . Your tickets will be at will call in our registration area in the tent just outside the main doors. We will have a number of 60" Round Tables with seating for 8 available on a first come, first served basis.. We will also have many high top cocktail tables throughout the event for you to stand at with your drinks and tastings. Wait a second...just how many Tacos are going to be at the Taco + Tequila Throwdown? There will be OVER 3500 TACOS served at the Taco + Tequila Throwdown! Can you handle that? We thought so.... Check out the list of our Participating Chefs HERE. We at the Taco + Tequila Throwdown want you to have fun, but we also want you to be responsible & get home safely. If you don't have a designated driver, please plan to get a ride home. We have partnered with UBER to get you a FREE RIDE (up to $20) for new users...just use promo code uberb3bash on signup. Drink responsibly and BE SAFE & SMART! Are Taco + Tequila Throwdown tickets refundable?